The current file system, HFS+, is starting to show its age. At WWDC 2016, its successor was finally born. Some changes are big for users: Siri on the Mac, fireworks in the Messages app, a new Breathe app on the watch! Others are a more seismic shift that end users may or may not notice. Apple’s operating systems have used the HFS+ file system for more than 18 years, but that era is coming to an end. At the Platform State of the Union after the WWDC keynote, Apple took the wraps off the replacement for HFS+, its new Apple File System. Now, the file system is pretty well hidden from most users. It’s entirely possible that you’ve used the Mac for 20 years and only come across a reference to HFS+ when formatting a new drive in Disk Utility—I know this because that’s the kind of user I am. But Apple File System will have some benefits that should be a really big deal for developers. According to a document on Apple’s Developer site, Apple File System improves on HFS+ while supporting “nearly all” of its features. But it’s optimized for flash and SSD storage, with modern touches like 64-bit support and strong encryption. In the Platform State of the Union, Apple highlighted two big features of the Apple File System. The first is cloning. As you use any operating system, some files are duplicated, and even if the OS can clean all that up for you later, it still hogs resources and disk space while it’s happening. Apple File System clones these files rather than copying them because that’s faster and takes up no extra space beyond the first copy. It can clone files, directories, and hierarchies. The second big addition is Snapshots. Those are, well, snapshots of a full volume. Snapshots can be mounted, and support reverting to an older version, to let you back up a view of the whole file system at a certain point in time. The example given onstage involved a classroom: Say you’re a teacher and you set up your classroom’s Macs or iPads with certain content, apps, and settings for a lesson. Then the kids come in and start monkeying around. At the end of class, instead of having to undo all those changes, the teacher can roll back the device’s content and settings to the previous Snapshot, so everything is ready for the next class of students. 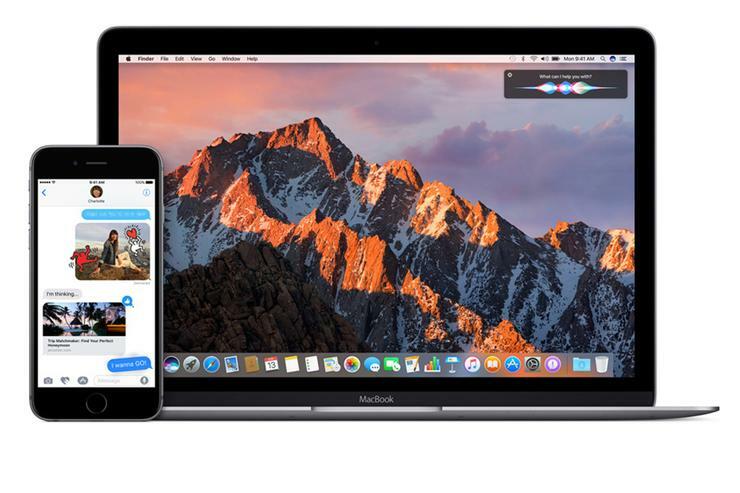 Apple File System, which Apple is also calling APFS, is a developer preview in macOS Sierra (aka OS X 10.12), and Apple says it won’t ship until 2017. Because while SSDs and cloning files are fast, changing the file system across all of Apple’s operating systems and devices—well, that’s going to take a little while. APFS has a way to go until it’s ready for prime time as well. As of today, APFS volumes can’t be encrypted with FileVault or backed up with Time Machine, and Fusion Drives can’t use APFS yet either. Baby steps.